Legal costs in estate litigation can accrue if the parties lose track of what their goals should be. Estate litigation proceedings are some of the most emotionally challenging proceedings for the parties involved. Often siblings engage in bitter rivalries that may stem back all the way to childhood. Many people view estate litigation and Court proceedings as an opportunity to punish an adversary by winning the dispute at all costs. Legal costs can accrue over time if the parties lose focus of what the goals of litigation are. This can happen due to the emotionally challenging nature of the process. Emotions run high in estate litigation. A sibling rivalry can cause litigants to make outlandish claims against each other. This often occurs due to feelings of hurt or betrayal. The parties attempt to use the litigation process to harm the other side financially. As a result, legal costs increase and the the parties move further away from settlement. Consequently, instead of focusing on settling the matter, the parties become entrenched. Clients should consider their lawyer’s assessment of their case carefully. A client who has started his or her case with a lawyer may occasionally end up being self-represented. This may happen because the clients disagree about likelihood of succeeding in Court. A good estate lawyer will remind clients about the consequence of legal costs being awarded against them, if their claim is unsubstantiated. For example, self-represented litigants may underestimate the high cost of a trial. There have been cases where a trial that was supposed to last 1-2 days was extended to 10 days because of a self-represented person, only to find out that there was no evidence to substantiate the extreme claims. The losing party may have pay winner’s full legal costs. The justice system does not have a lot of resources. As a result, Judges act to strongly to discourage litigants from wasting the Court’s time. A Judge may use an award for legal costs to discourage future frivolous claims. Costs can also be used as a reminder to encourage litigants to resolve before trial. Estate mediation is available to parties well in advance of trial to attempt a cost-efficient resolution of the dispute. Furthermore, estate mediation is mandatory in Toronto, and you should retain a Toronto estate lawyer to assist you with your estate dispute. 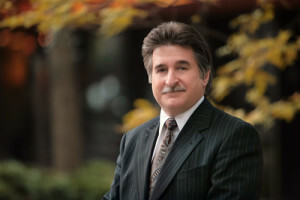 Charles Ticker is an experienced estate litigation lawyer. He can help you determine whether it is worth to proceed with your claim. To schedule an appointment with an estate lawyer, call Charles Ticker at: 1-866-677-7746. The information on this website is not legal advice. It is for informative purposes only.